This Luxury Urban Resort in the heart of the Santa Barbara Waterfront and Funk Zone District envelopes 3 separate property corners at the intersection of State and Mason Streets. The original 1920’s era façade of the historic Californian Hotel is being preserved as part of project. The historical “Spanish Mission” architecture and stunning Moroccan themed interior designs are the work of Santa Barbara based architectural firm, DesignArc, and celebrity interior designer Martyn Lawrence Bullard. 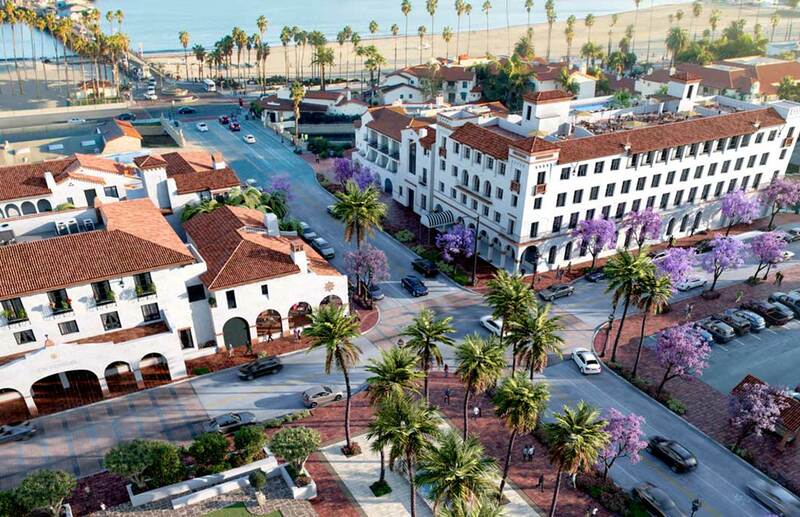 The Hotel Californian development and the recently re-energized nearby “Funk Zone District” are combining to represent the largest retail, restaurant, and hotel redevelopment in Santa Barbara since the early 1990’s when the Paseo Nuevo Mall was built downtown.